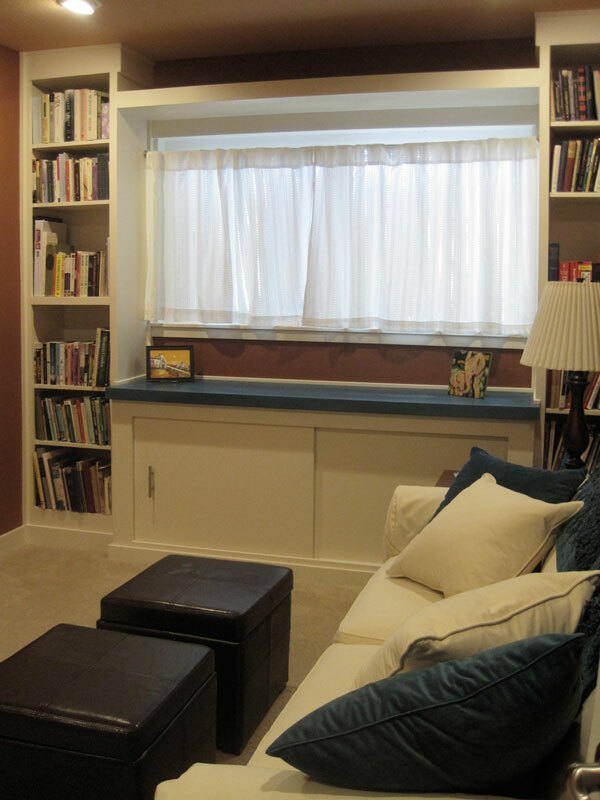 This extra room was begging to be re-designed as a more efficient and beautiful guest bedroom and office. 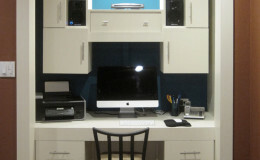 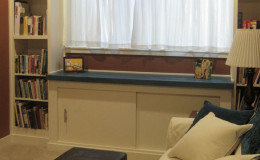 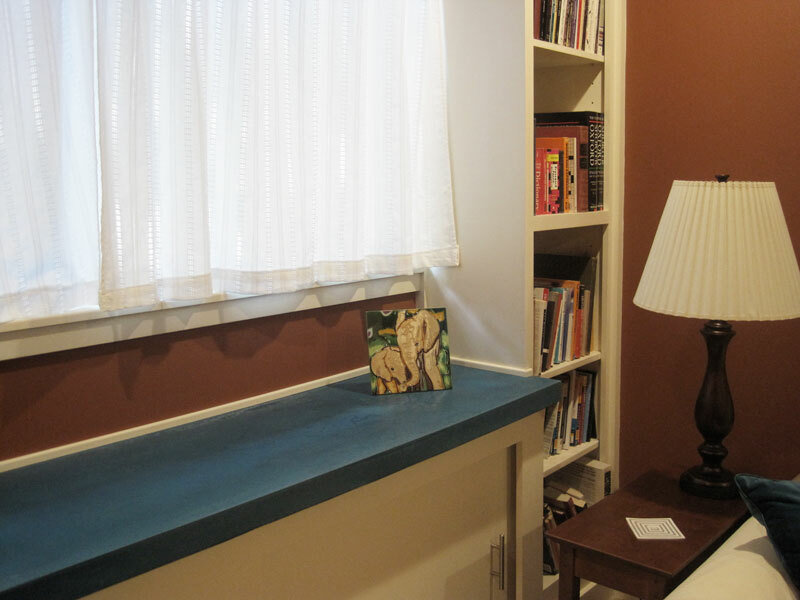 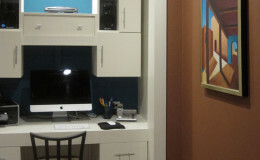 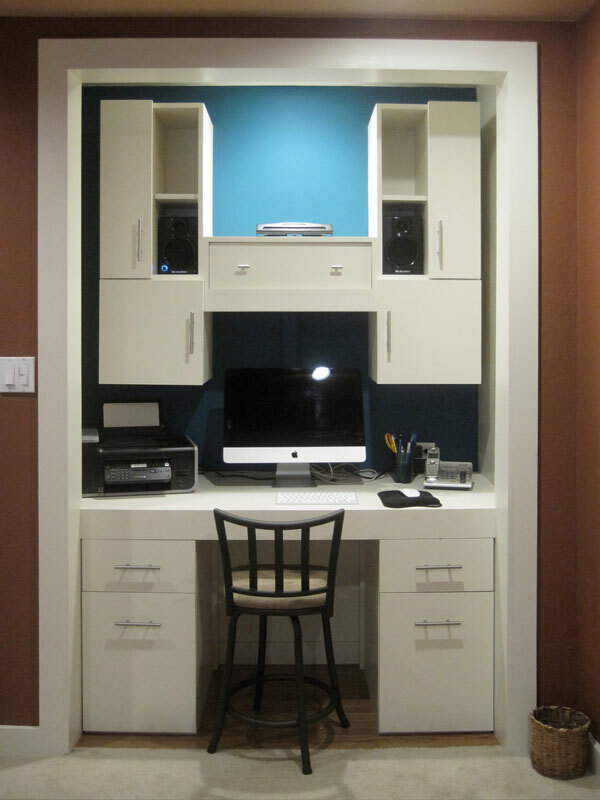 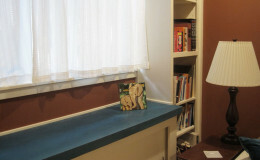 The closet was repurposed as a workspace, and built-ins were added for additional storage. 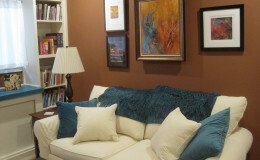 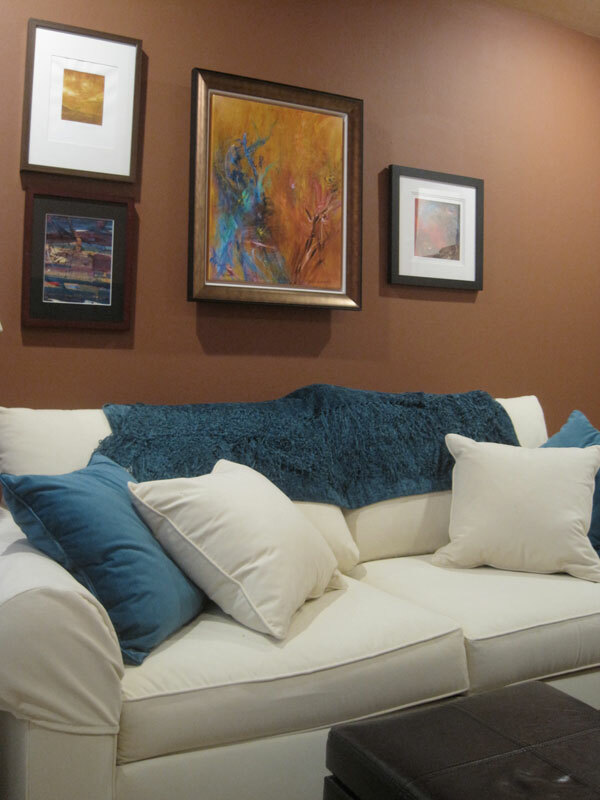 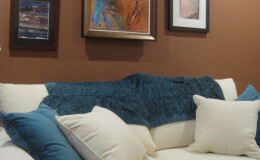 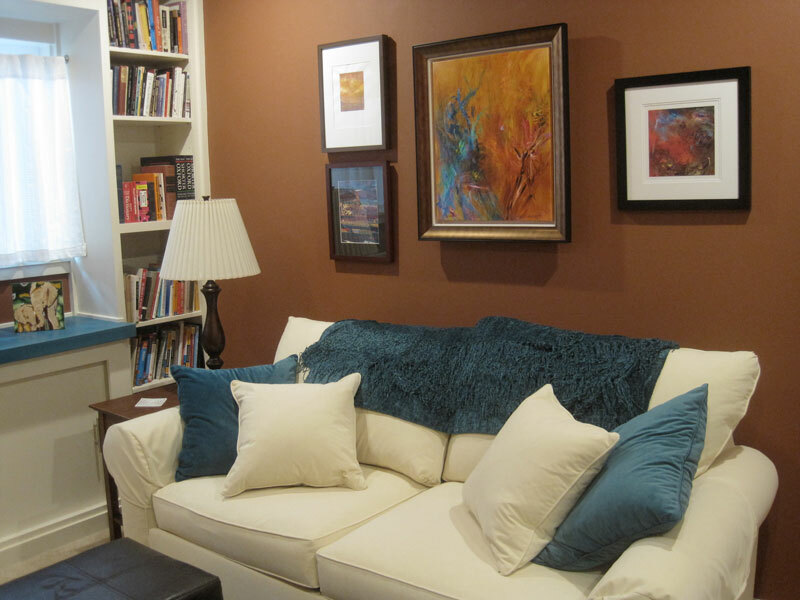 A comfortable new sleeper sofa makes it a cozy spot for curling up with a book or getting a good night’s rest. 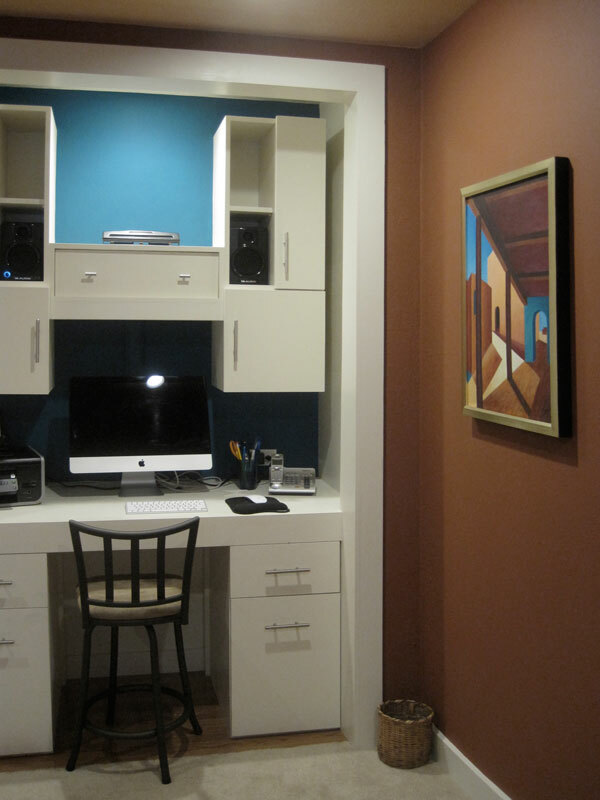 A teal concrete counter complements the deep clay-colored walls, and the clients’ modern art collection ties it all together.